Run time: 1 Hour and 16 minutes. This is such a cool instrument and can go traveling with you anywhere. The McNally Strumstick sounds like a cross between a dulcimer, banjo and mandolin. 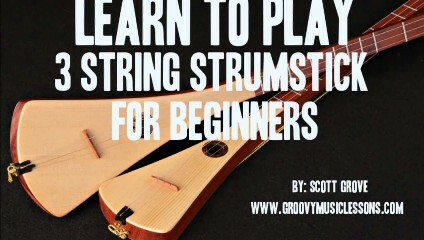 The frets are brilliantly placed so that the learning curve is almost a straight line! lol Such an easy instrument that can almost instantly enable you to back yourself up by playing your favorite tunes in no time at all. I get you to that point faster than anyone can or will. It wasn't designed to be a difficult instrument to play, so I don't make it difficult to learn. For those who already play and record instruments, this puppy records so very well and puts that folk type of organic texture that electronic music is so VERY badly missing. So, an instant cure for the stale stuff. EVERYONE enjoy the STRUMSTICK! This is such a cool instrument and such an amazing lesson that I can't urge you enough to grab a dulcimer (new or from Grandpa). Hey, Grandpa....you can learn a TON from this BEGINNER'S video.....it's just that cool. 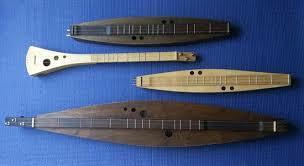 I know, most people in the 21st century wouldn't put "Dulcimer" and "Cool" in the same sentence. Well, times are changing, yet remaining the same. I take you from the very beginnings...so starting as if you've never even seen a musical instrument of any kind before and I transform you into being able to play the classics of so many decades gone by to Christmas tunes and today's songs. 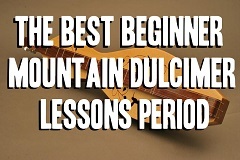 Most importantly, I give you the tools to create your own music and have a full grasp of what it takes to explore your soul and be able to express it through the groovy sounds of the Mountain Dulcimer. Be sure to watch the sample video below for a small hint to what is JAM PACKED into the coolest lesson for the Dulcimer on the planet!